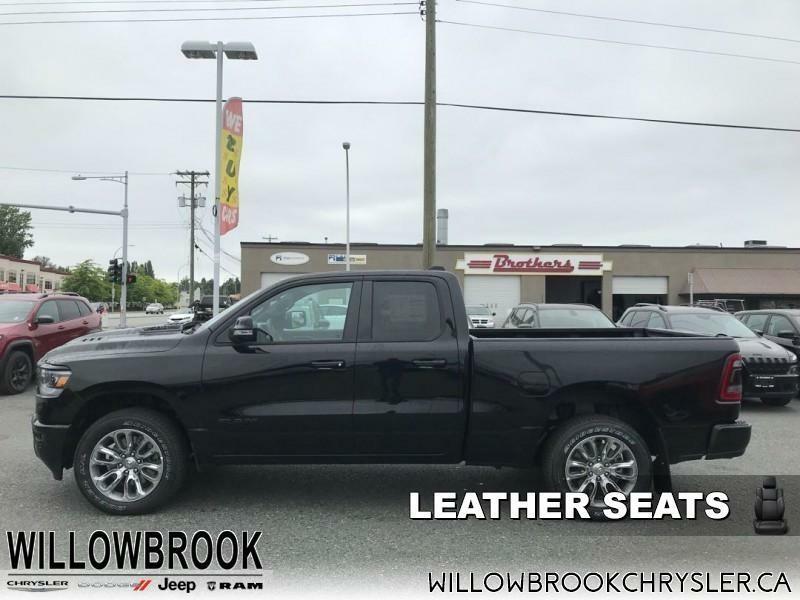 Leather Seats, Sunroof, Blind Spot and Cross Path Detection, Sport Performance Hood, Trailer Hitch! 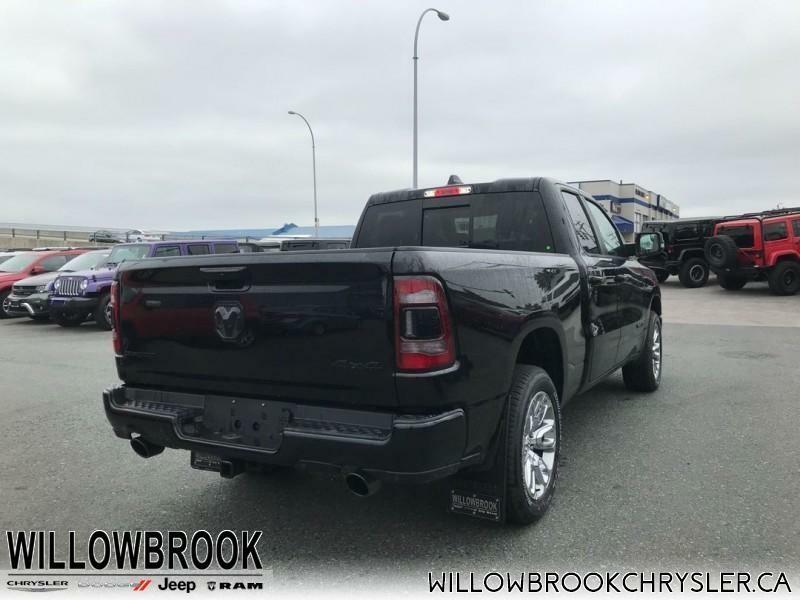 This diamond black crystal p/c Quad Cab 4X4 pickup has a 8 speed auto transmission and is powered by a 395HP 5.7L 8 Cylinder Engine. 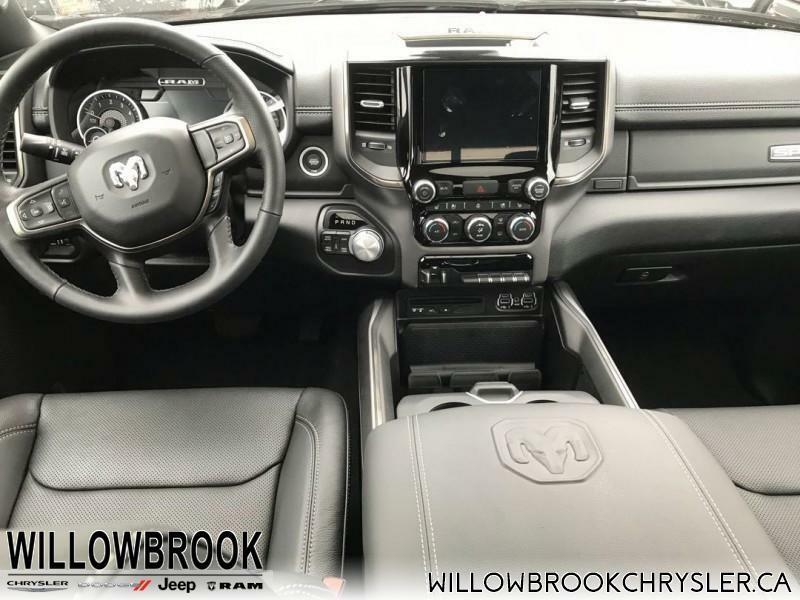 Our 1500's trim level is Sport. 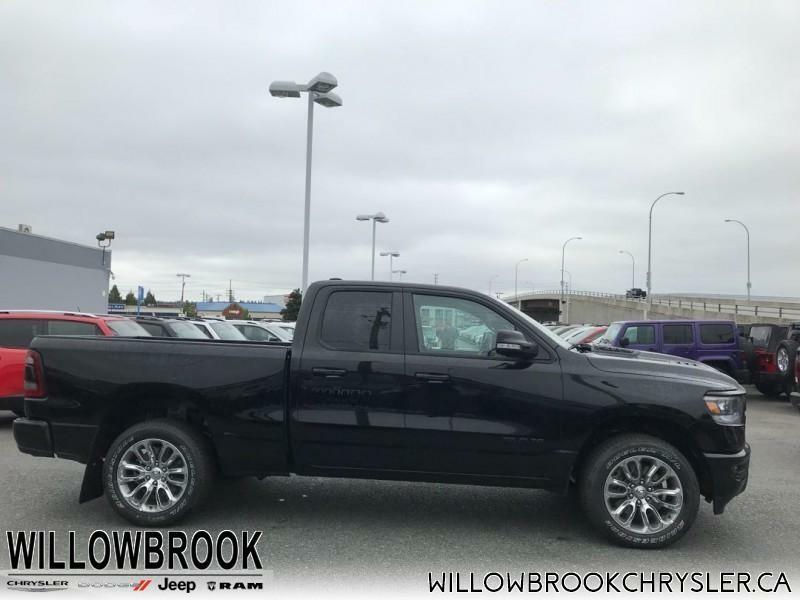 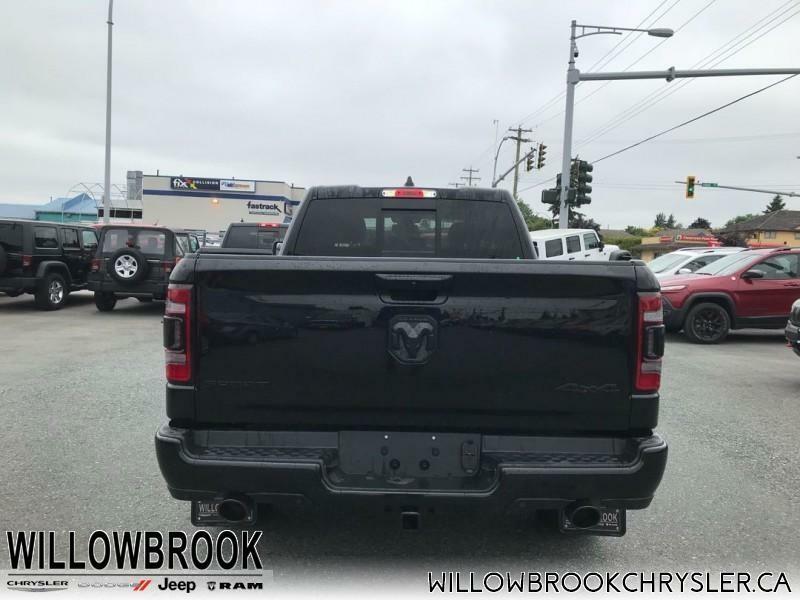 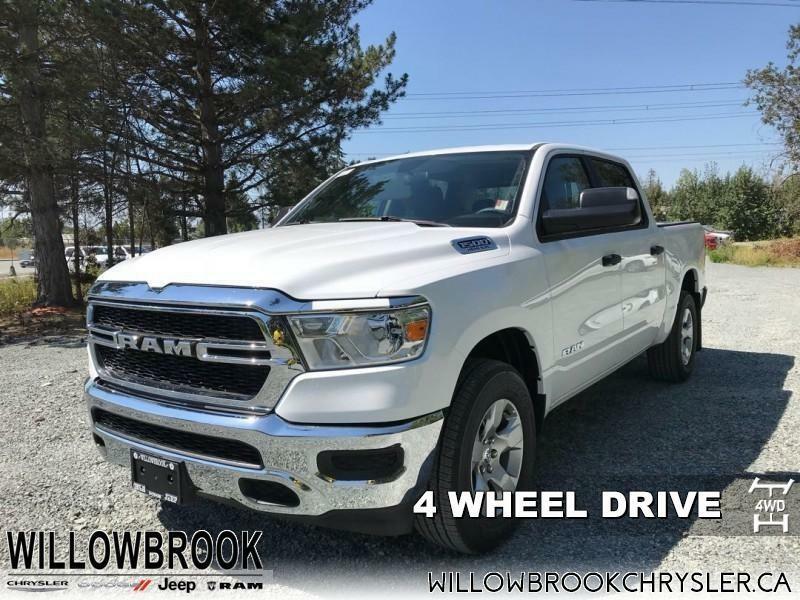 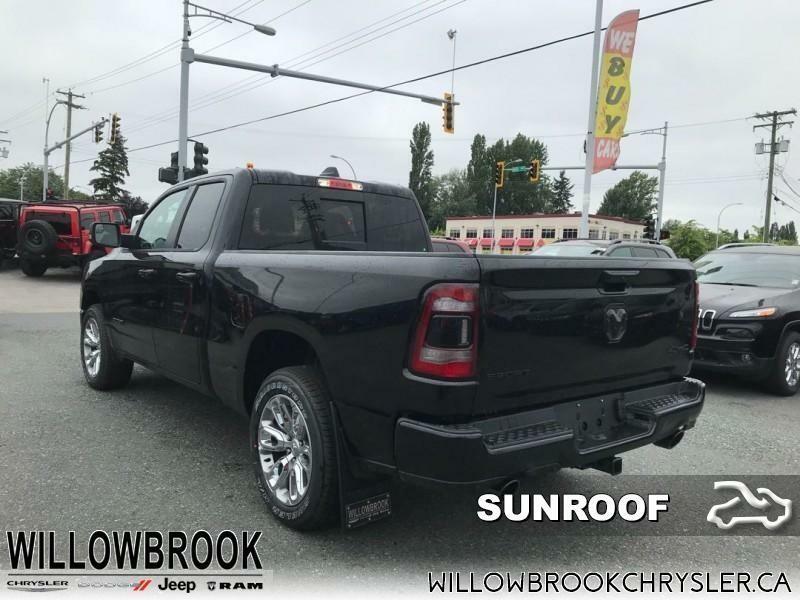 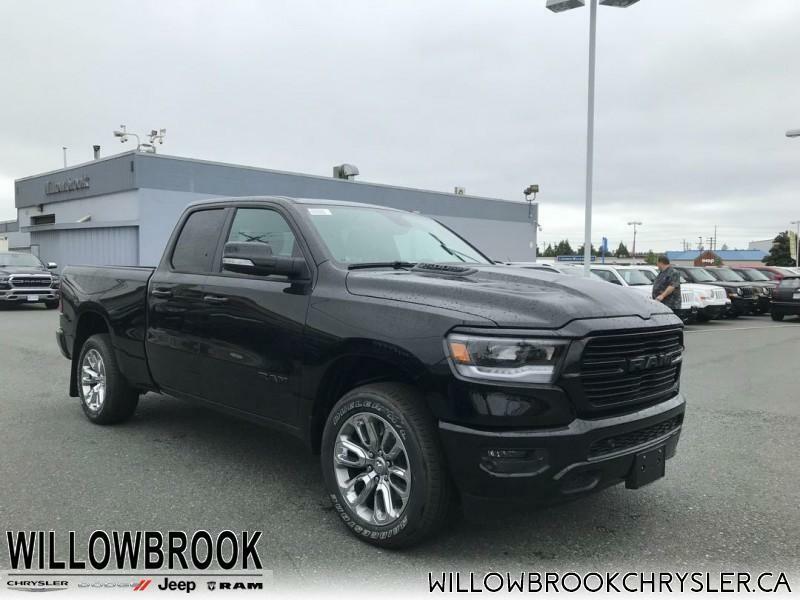 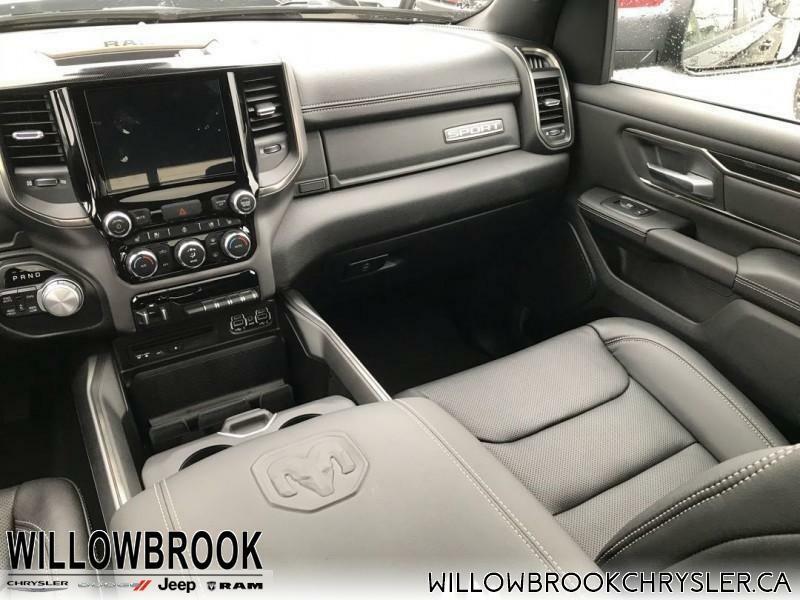 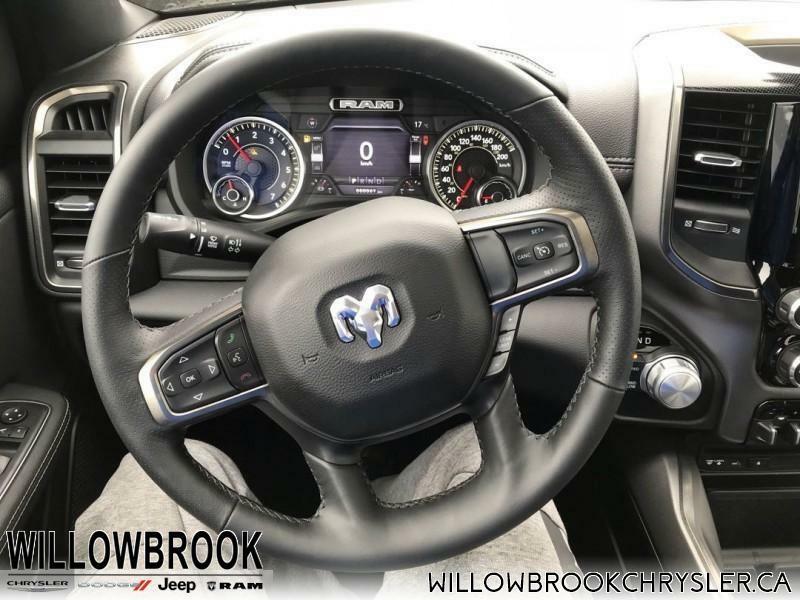 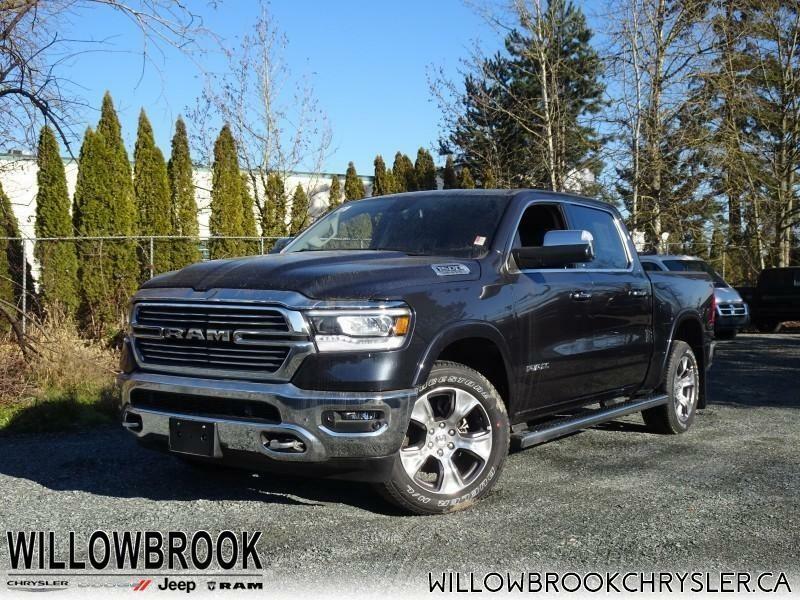 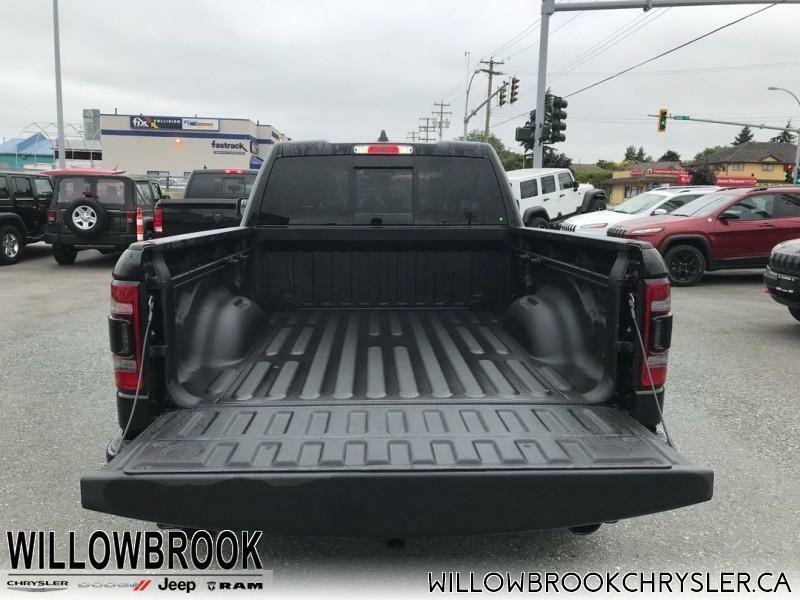 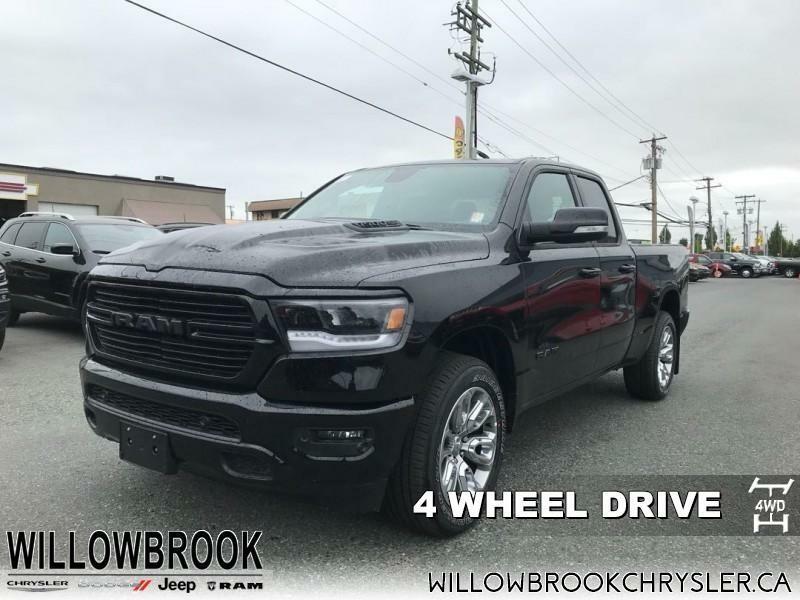 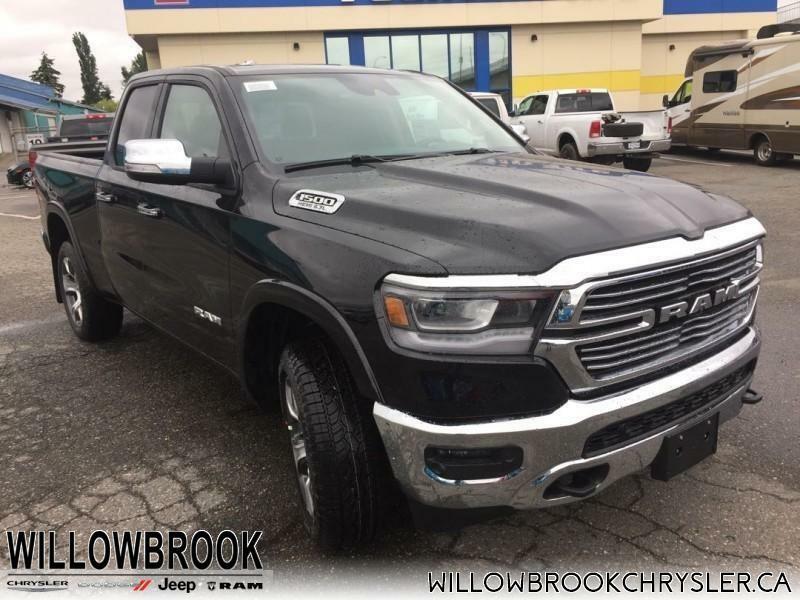 The Sport trim adds some extra style to this great looking truck while still providing excellent value. 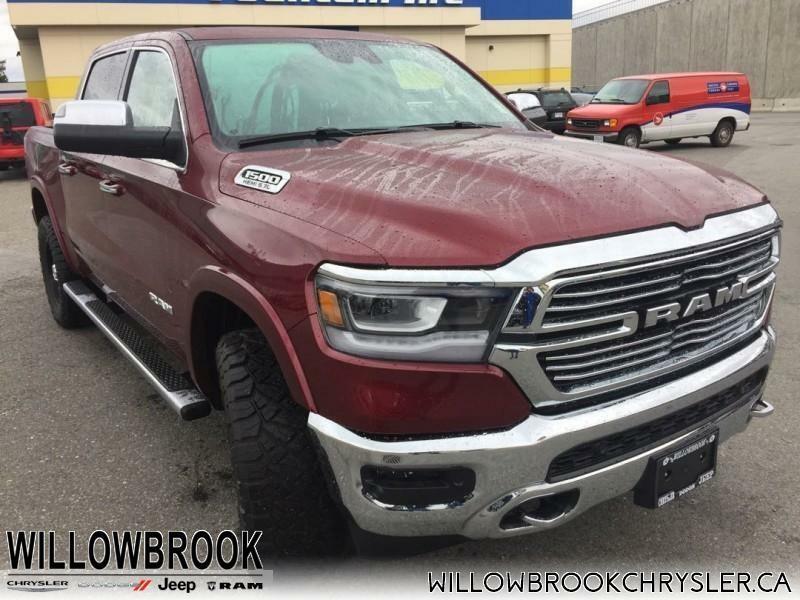 It comes with body-colored bumpers and grille surround, LED brakelights, premium aluminum wheels, a power rear window, Uconnect 4 infotainment system, 2 front LCD monitors, a heated leather steering wheel, heated front seats, power adjustable pedals, a built-in garage door transmitter, a rear view camera, and much more. 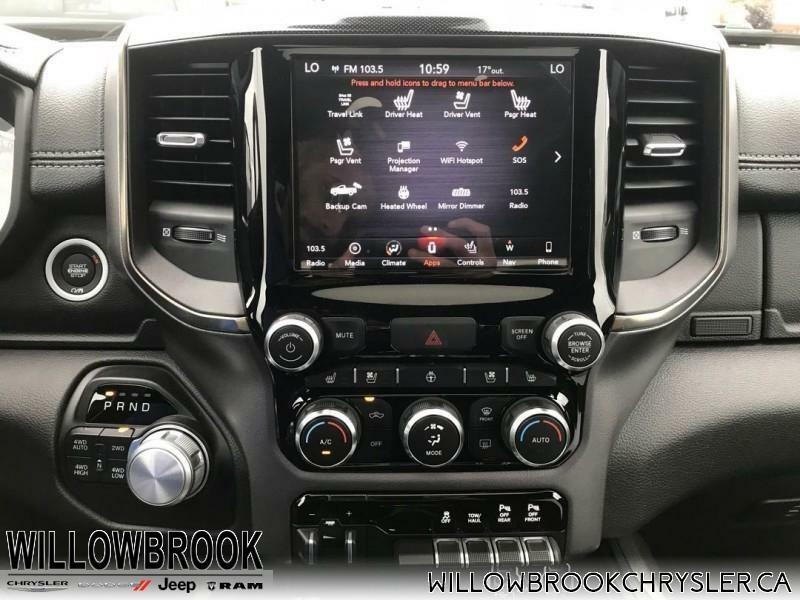 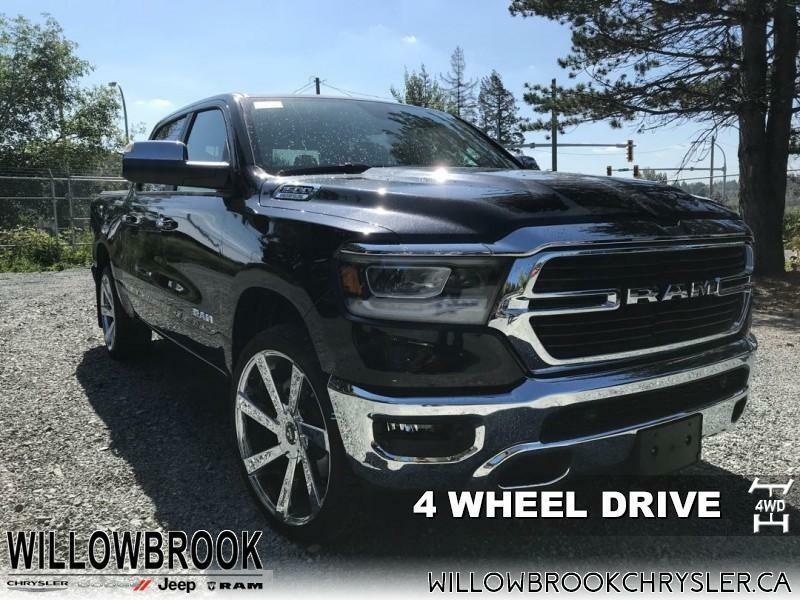 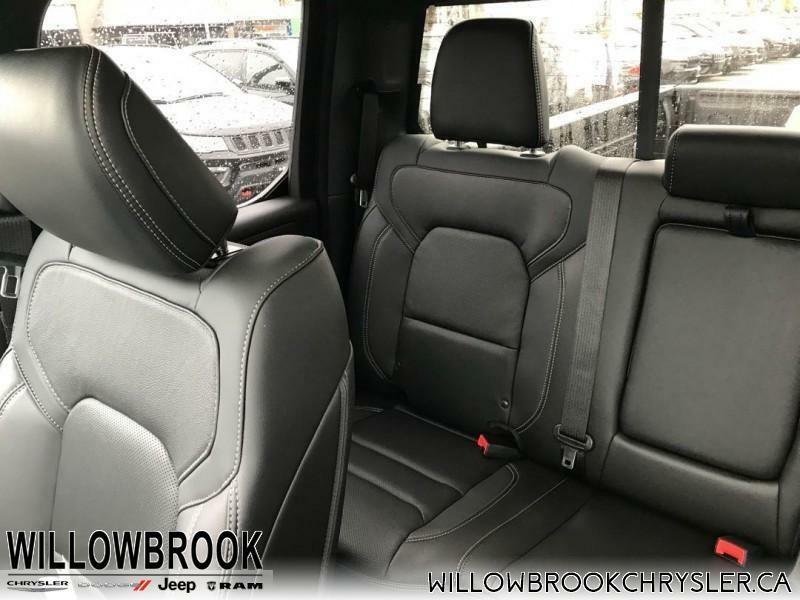 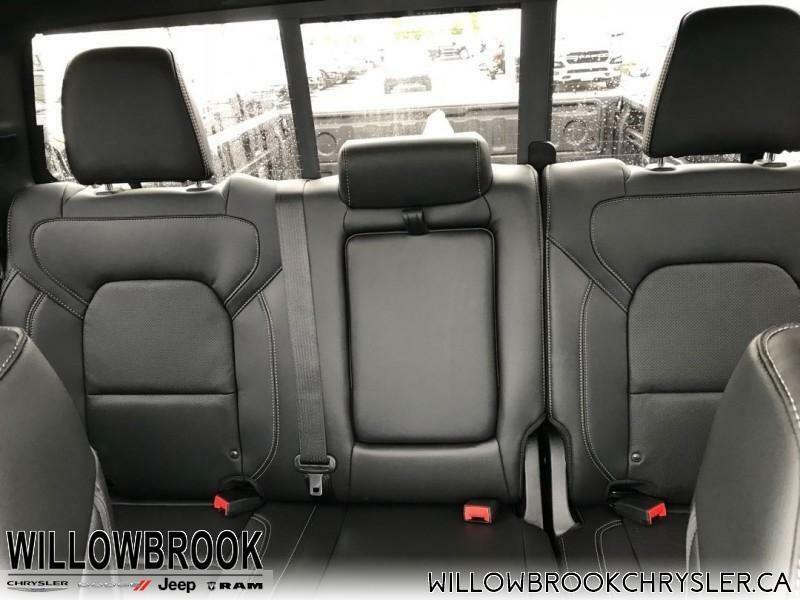 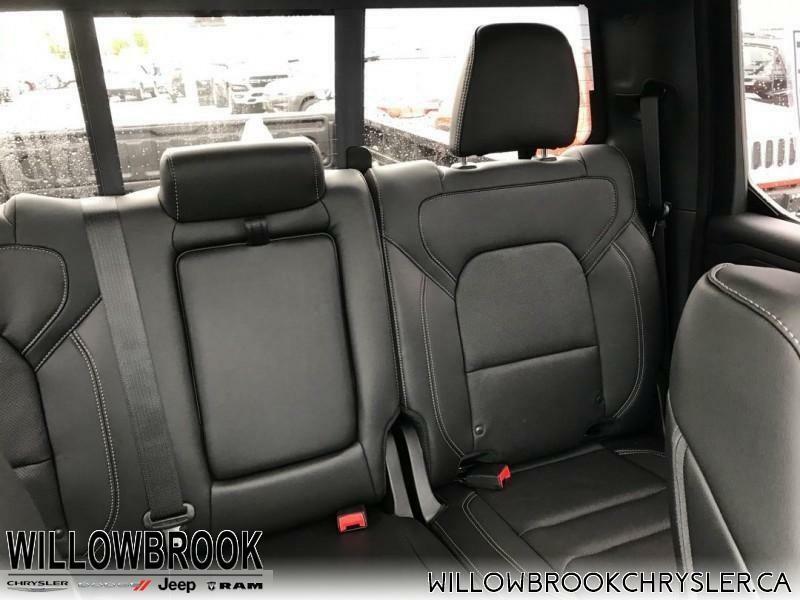 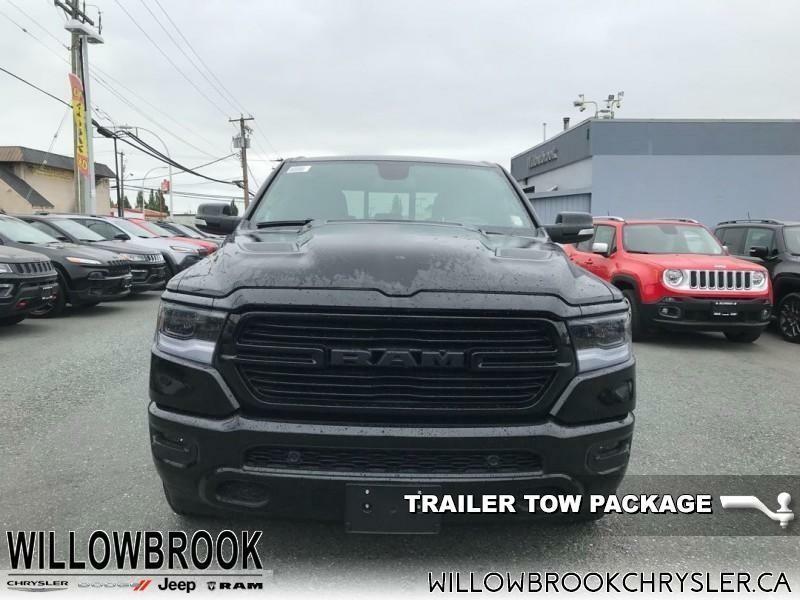 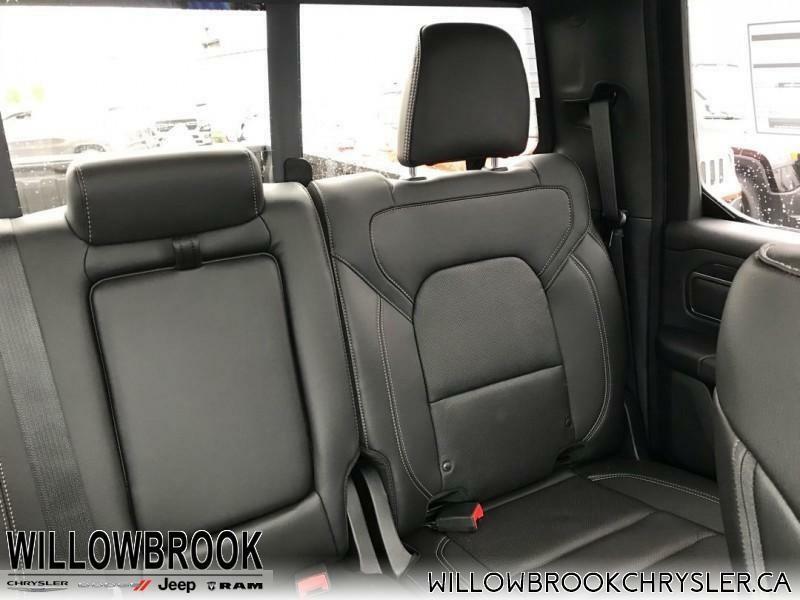 This vehicle has been upgraded with the following features: Leather Seats, Sunroof, Blind Spot And Cross Path Detection, Sport Performance Hood, Trailer Hitch.